Tag "electric guitar lessons london"
The electric guitar – the most powerful instrument that has ever been created! The electric guitar is the most powerful instrument on the face of the planet! Learn how to play the electric guitar and set the world alight! Are you passionate about learning to play the electric guitar and you seriously want to improve your electric guitar playing? The electric guitar is simply one of the most extraordinary instruments ever created. Did you know the concept of the electric guitar and virtuosity has been around for many many ages even as far back as the 18th century! During the Italian Bel Canto revolution the human voice was considered the apex of musicality (Similar to the electric guitar today!). Niccolò Paganini then set the world on fire in the early 19th century with his ferocious virtuoso violin performances! A little later, Franz Liszt, inspired by Paganini conquered the world with his magnetic personality and flawless technical execution! 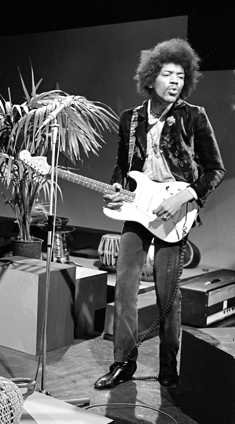 In the 1960s, Jimi Hendrix burst unto the rock and roll scene playing his white 1968 Fender Stratocaster and using overdrive and serious lead guitar licks and riffs that literally rocked the world! He even set his guitar on fire – live on stage! Whilst all this was going on a young Yngwie Malmsteen was busy getting inspiration from both Hendrix (for his stage antics) and from a violinist performing on the television! In time Yngwie Malmsteen took his electric guitar and set the world alight with his blazingly fast runs, neo-classical lines and magnificent larger-than-life performances. In the 19th century this idea of a rock star could be found in the Bel Canto vocal styles in Italy! During the 18th century the electric guitar was Paganini performing on his violin to sell-out audiences across Europe! In the 1800s the electric guitar was Franz Liszt the world’s first bona fide rock star performing to a vast audience all across Europe and inspiring generations of pianists to come! If you want to learn how to play the electric guitar and develop the skills to seriously impress your friends and fans then you have to consider the London Guitar Institute for London’s best electric guitar lessons for adults. The electric guitar is definitely the most powerful instrument of all times! It is also an incredibly expressive instrument. You can play the electric guitar with a very smooth and beautiful tone or you can play it with an aggressive metal sound! 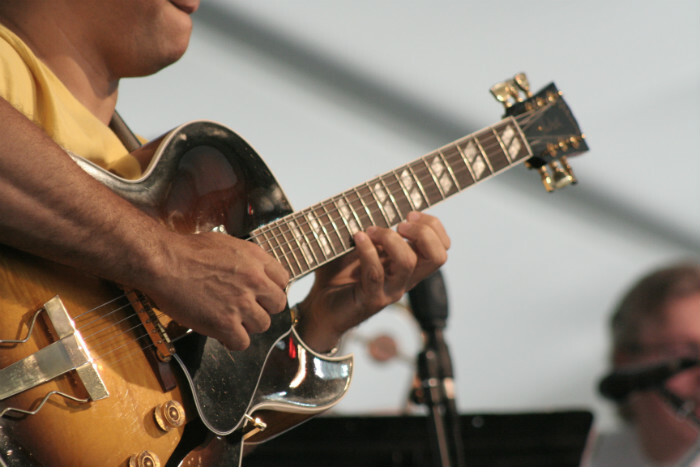 You can play a stunning bend with a delayed vibrato or impress your audiences with your dazzling mastery of virtuosity as your fingers run up and down the guitar neck! Take your pick, (pun intended) and get ready to explore the wonderful world of the electric guitar. At the London Guitar Institute you can seriously improve your guitar prowess with one of the UK’s top electric guitar teachers. You can move from being an ordinary electric guitarist to being an extraordinary one! For the best electric guitar lessons London has to offer, simply look no further! 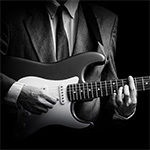 You can study the style you love on the electric guitar: metal, blues, rock, jazz, neo-classical and so much more! The electric guitar is an instrument that requires your time and dedication. At the London Guitar Institute, we will help you develop a rock-solid technique and the ability to improvise over any musical situation! We will help you become GREAT at playing the electric guitar. Maybe one day, you will perform in front of millions of adoring fans screaming to hear your electric guitar solos! Or perhaps, you will actually take the plunge and perform over the weekends with your cover band and play the solos that you have always wanted to play! The moral of the story: anything is possible with time, effort and great education. 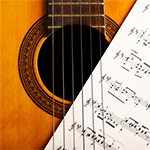 For our electric guitar course options please click here. It is our goal to help you become the best electric guitarist you can possibly become. 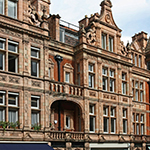 Learn the electric guitar with the London Guitar Institute in Mayfair or the City of London. Make your dreams come true and enjoy the best electric guitar lessons London has to offer. Course options are available here.